Had to say goodbye to our kitty Willis today. 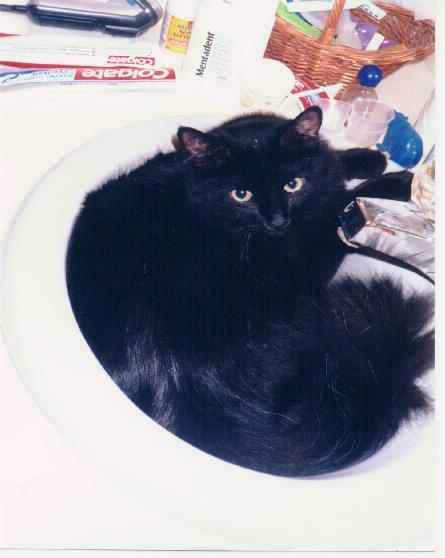 This was Willis in younger and happier days, when he enjoyed curling up in the sink. He just turned 16 last week. We lost him to a bladder infection, let him go today when he wasn’t eating or drinking any longer. He last had an infection in 2005, and we almost lost him then. Weren’t so lucky this time. Thanks for 16 great years, little kitty, and enjoy the bird hunting in kitty heaven. This entry was posted in personal, Uncategorized on April 25, 2012 by admin.